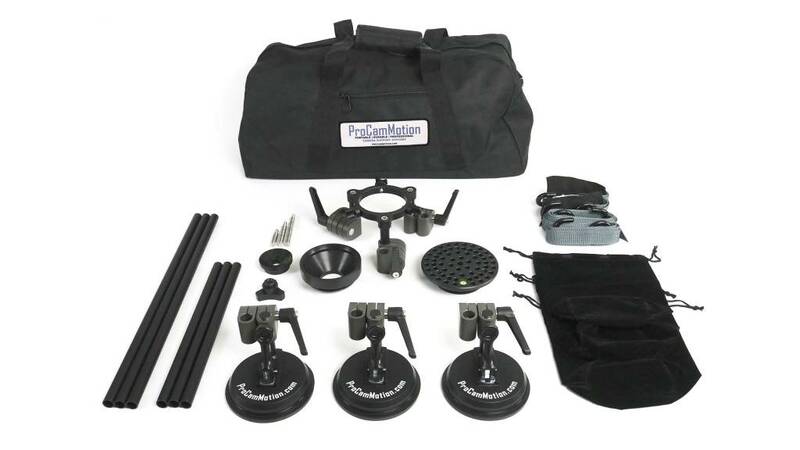 mit Koffer, auch als Schulterstativ einsetzbar, sehr flexibel. 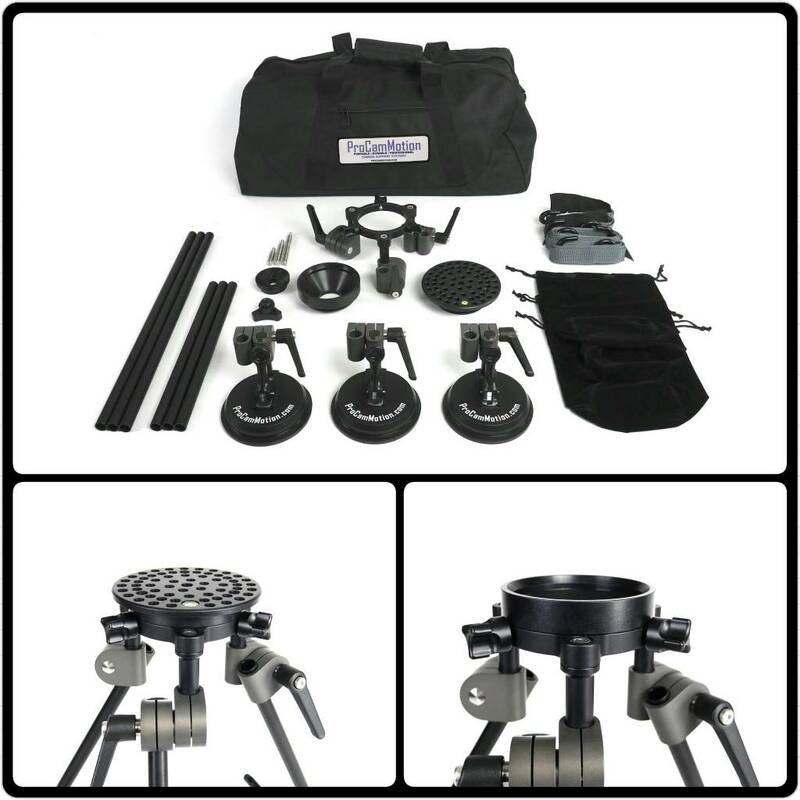 Auflageschalen 75mm und 100mm sind separat erhältlich. 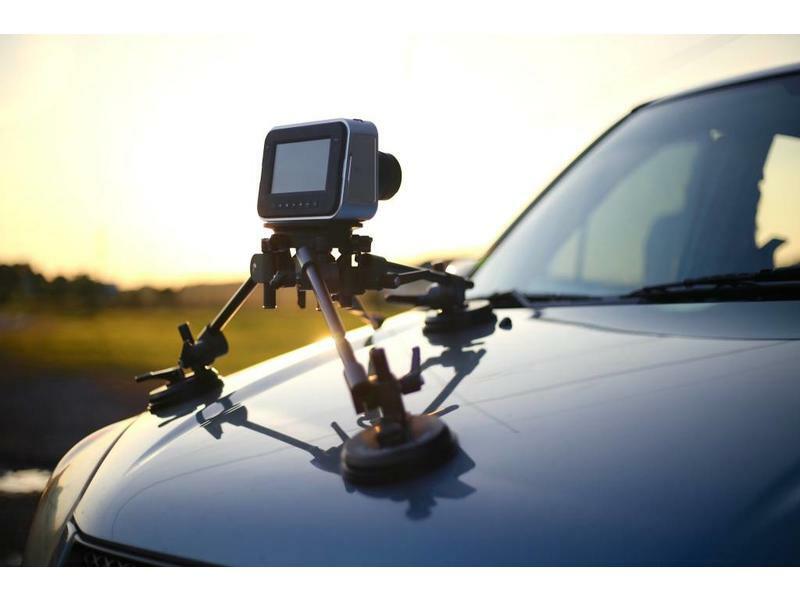 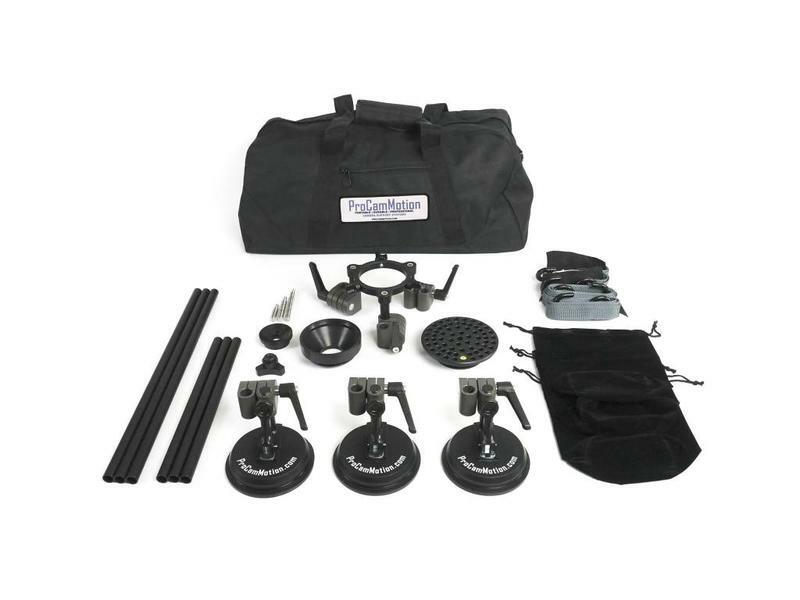 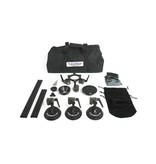 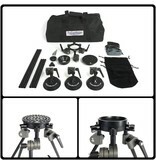 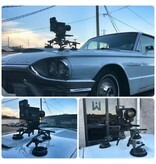 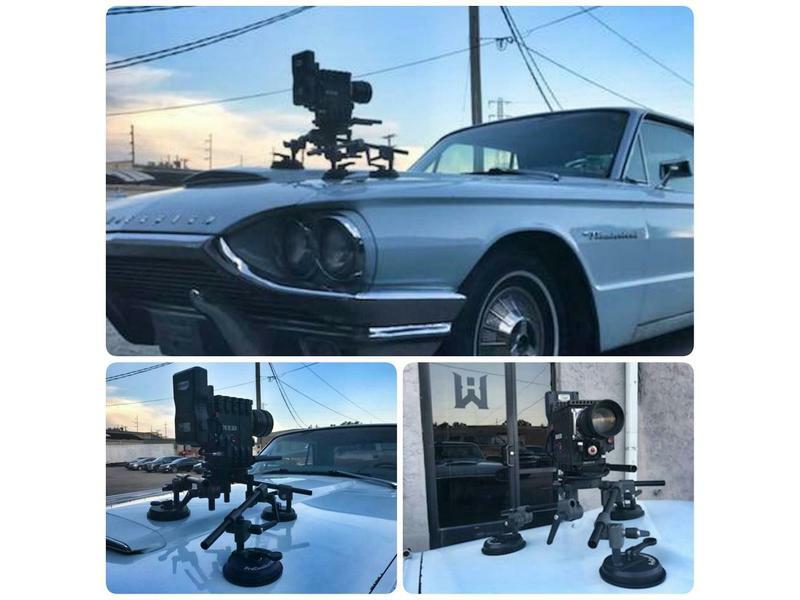 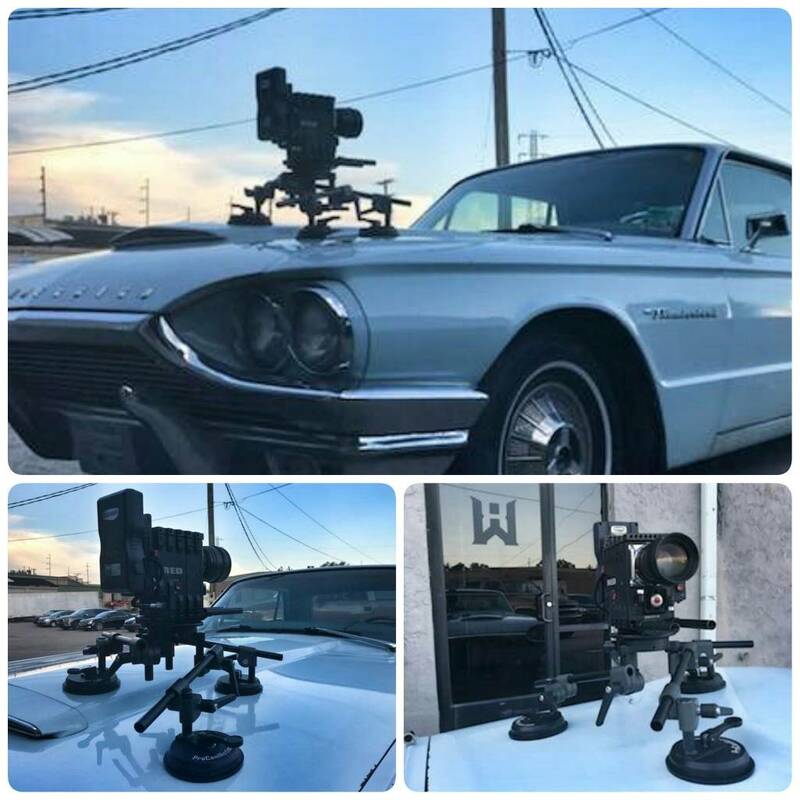 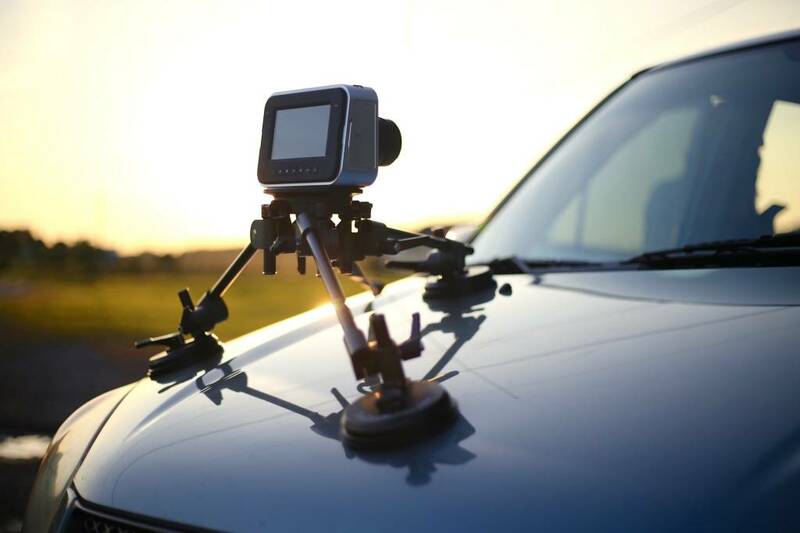 This is without a doubt the best engineered and most versatile kit for mounting professional camcorders onto cars, boats or any other non-porous surface! 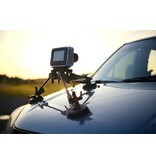 along with a stainless steel safety cable. 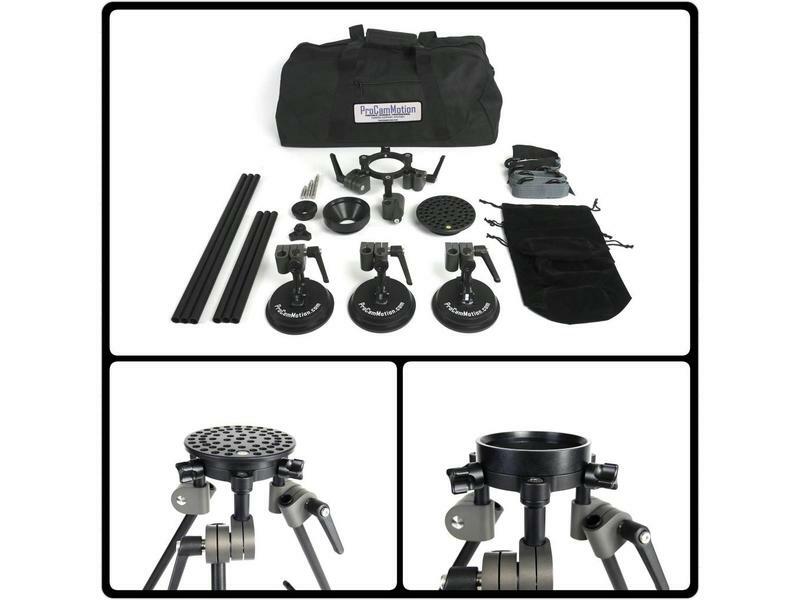 A large base plate provides an additional mounting surface if needed.